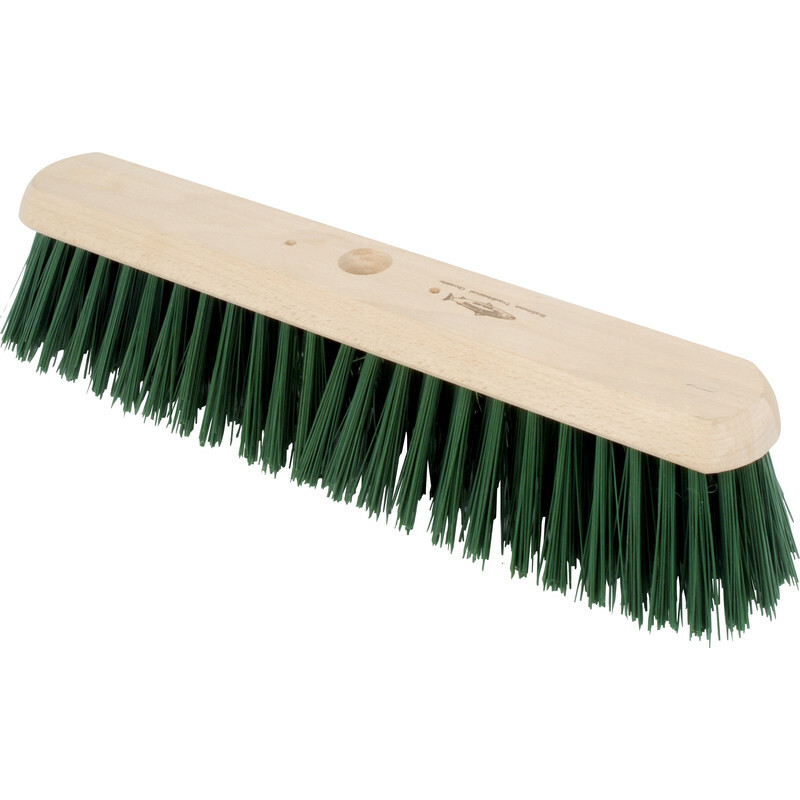 Stiff Platform Broom Green PVC 18"
For removing large quantities of debris from rough outdoor areas. Can be used in both wet and dry conditions. Use 1 1/8" diameter handle 30010 . Stiff Platform Broom Green PVC 18" is rated 4.2 out of 5 by 5. Rated 4 out of 5 by Anthony99 from Finally a brush that really works! Excellent brush. Really collects the dirt. Rated 5 out of 5 by Anonymous from Great product I bought this because it is Salmon brand. Always good quality and hard wearing. Excellent value for money. Rated 5 out of 5 by Dickie B42 from Not too big and not too heavy. I used to have to sweep a 600yrd drive every week, I wish I had this broom as it perfect for large drives. Bristles are often too springy but this is the best I have ever had. Buff said!